Some bands are so good that you just cannot get enough of them, and for us, the Bruce Katz Band is definitely one of them! 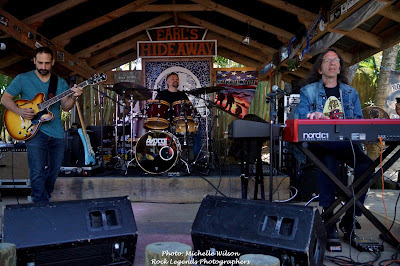 With keys master Bruce Katz tickling the ivories, Chris Vitarello playing ultra clean guitar licks and belting out strong, smooth vocals, and Ray Hangen banging out precise drum beats, this power blues/rock/jazz trio thrilled the crowds everywhere we went. 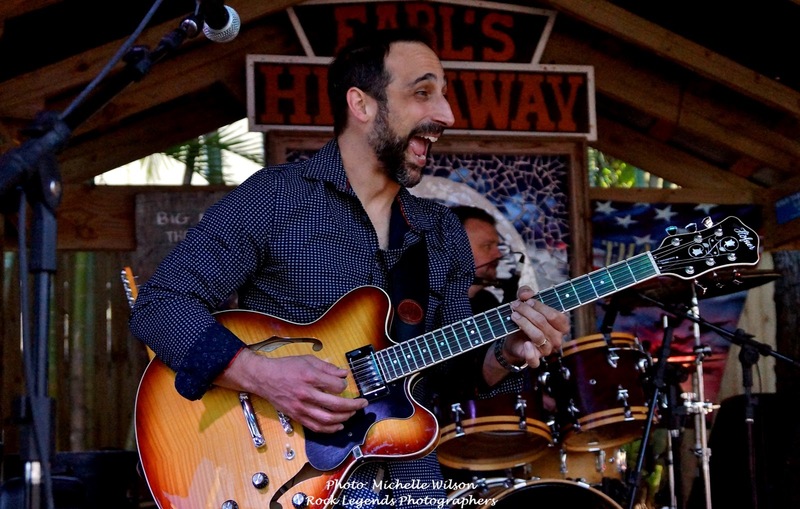 Katz (Blues Hall of Fame Inductee 2013) has performed with the likes of the Allman Brothers Band, Gregg Allman, John Hammond, Ronnie Earl and The Broadcasters and Delbert McClinton, to name a few. 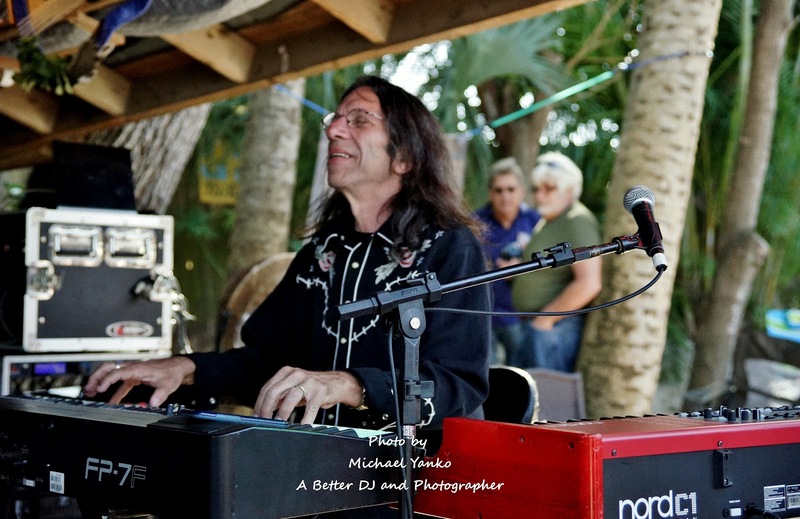 In addition to playing with Katz, Vitarello (Blues Hall of Fame Inductee 2013) also has collaborated with the late Jimmy McGriff, Tad Robinson and Floyd Miles, in addition to many others, and is a member of the Chris O’Leary Band. Hangen (2010 Buffalo Music Award for Best Blues Drummer) has played with The Blues Hounds and Brandon Santini. 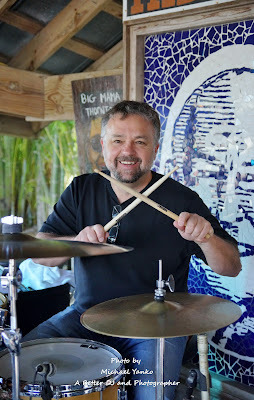 Our weekend tour with the band began at 1pm on Saturday afternoon at Stuart, Florida’s Terra Fermata, a hidden gem that is one of our favorites. 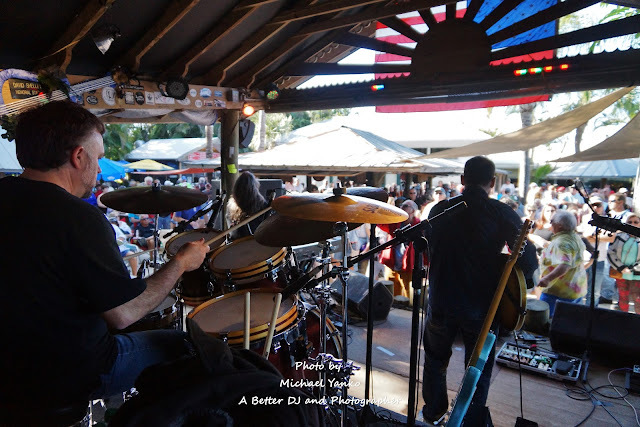 Owner Jonathan Mark always ensures that the sound is exceptional at this cozy outdoor venue. Even though attendance was a bit thin (this was a last-minute, rescheduled show from Wednesday’s rained-out performance), the seasoned performers still played a fantastic 2-hour set with loud, consistent appreciation from the small audience. It was a perfect mixture of original songs from their charted new release, “Out From The Center” as well as songs from previous albums, and some classic covers from Billy Preston, the Allman Brothers Band and Ray Charles. The band was joined for a few songs by special guest guitarist Alex Ivanov, a 21-year-old musician with a bright future ahead of him. Part 2 of our adventure started at 9pm, 170 miles away at Phil Stevens’ Music Ranch in Lakeland, Florida, about 10 minutes off I-4. The homey vibe of the large, rustic cabin, complete with music memorabilia in every room, offers a welcome feeling to all who cross the threshold. While there are no alcohol or food sales, you can bring your own, and that is exactly what the locals do. They bring the party inside with them and make a night of it. Katz delightedly commented on the rarity of an on-site Hammond B3 and Leslie, which is certainly a dream for any keyboardist. The set varied somewhat from the previous show but every song held the attention of the listeners. The band again provided a potpourri of tunes, old and new, and the fans were quite enthusiastic throughout the evening, dancing and enjoying each moment. The 3rd and final leg of our adventure wrapped up on Sunday afternoon for a 2pm performance at another one of our favorite outdoor venues, Earl’s Hideaway in Sebastian, Florida. We arrived an hour before the show and were pleasantly surprised to see several hundred people there already. The Bruce Katz Band did not disappoint them in any way, bringing an electric energy to the stage that only intensified as the day progressed. The BKB did 3 outstanding sets, again mixing older songs with new ones. They had many people dancing and cheering all afternoon long. Katz entertained at one point with a blistering keys solo that literally left everyone breathless and applauding wildly. The band did a commendable job of keeping patrons remaining at Earl’s, too. Guest guitarist Doug Bent sat in as did stellar slide guitarist Greg McCullough. This show at Earl’s was the perfect ending to a stunning weekend of music. Check out our photos from all three shows at our website as well as our live video interviews with Chris Vitarello (including live song footage) and Bruce Katz (from one year ago).